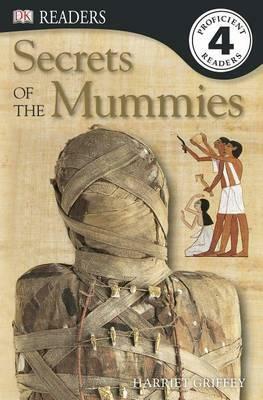 Proficient readers will be drawn to this Level 4 Reader, which introduces them to the mysterious world of Egyptian and Incan mummies. As they learn more about ancient burial processes, kids will be exposed to rich vocabulary and challenging sentences, helping them improve their reading skills. Harriet Griffey is the author of several works, including DK Readers: Earthquakes and Other Natural Disasters, DK Readers: Secrets of the Mummies, Ruby the Ballet Star: A Twirly-Whirly Pop-Up Book, and Ruby the Musical Star: A Ting-a-ling Pop-Up Book.